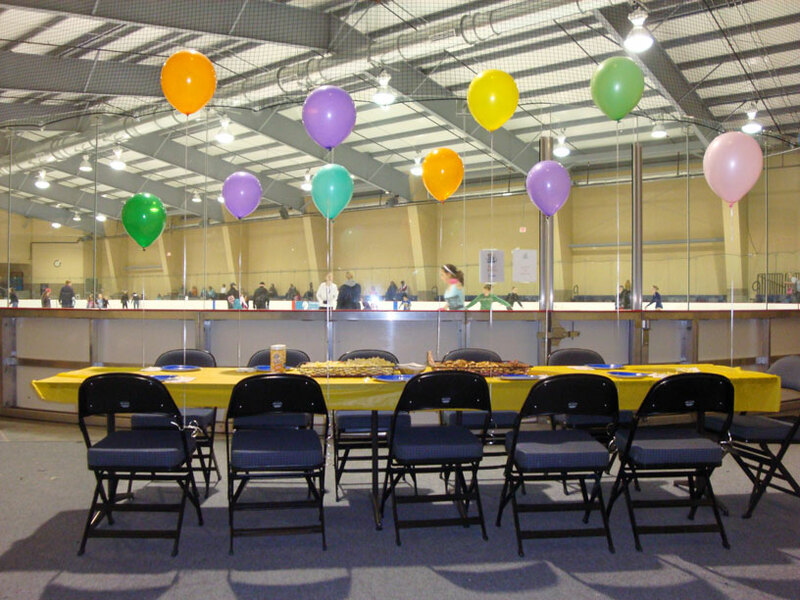 Book your next birthday party at the Centerpoint Community Ice Rink. Our Party Packages start at just $150.00. What are the available dates and times for a Birthday Party? "Birthday On Ice" Parties are held during our Public Skate Sessions. How many guests are included in the party package? The party package is based on a total of ten guests. More guests are welcome; however, there is a $8 charge for each additional person. Any parents are welcome to skate for an additional $8. What party spaces are available? There are four different areas available. 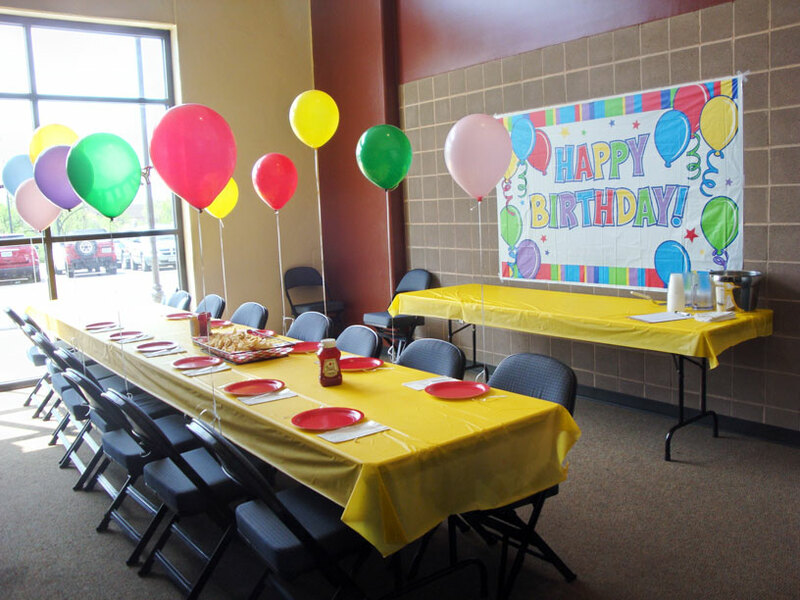 The party room can accommodate two parties or your guests may prefer either the North or South rink side locations. Party spaces are the same price. Availability is based on a first come first serve basis. We do our best to accommodate every request but do not guarantee rooms. What restrictions are there for outside food or custom decorating? Outside food is allowed over the duration of the party. Feather boas, confetti, or items that will leave debris on the floor are prohibited. Balloons may be brought for decorations! Please note, the Centerpoint Community Ice staff is unable to provide balloons or assist guests to blow them up. Count Down to your Party! Now that your party is booked! Please review the following suggestions to ensure your party runs smoothly! Remind your guests to wear high socks, warm clothes and gloves. Events at the Silverstein Eye Centers Arena may result in additional vehicle traffic, so encourage guests to arrive early for convenient parking. Should your guest count exceed the minimum number of 10 guests, please contact your party coordinator so proper accommodations can be made. Parents should walk their children into meet the party chaperone or host. Parking is available in the south lot and the entrance to the rink is on the South side of the Silverstein Eye Centers Arena through the Centerpoint Community Ice doors.